During this busy holiday season, it is easy to get caught up in all the hype surrounding buying the best gifts for family and friends and holiday parties that go on and on, and we rush around like madmen to be sure that we don’t miss out on anything. I recently had an “event” that has caused me to stop and take a look at all the “madness”. I have been forced to slow down, and I am not very good at that! But because I have, I am seeing things around me that I may have missed in all the hustle and bustle. I am very fortunate to have family and friends who love and support me, and a work environment that is truly amazing. I am healthy (now!). What I am also seeing, is those who aren’t so fortunate. I have a friend who is 29, a young wife and mother of 2 little ones (2 years and 7 months) and a “bonus” daughter, who battling an aggressive cancer, and wonders how they can give the kids Christmas with all her medical costs. I watch the news and see the needs of the homeless in our own community and across the country, and little ones going hungry. I see friends struggling as this is the first holiday after losing a loved one. There is so much joy during this time of the year, yet also much sadness and need. This truly breaks my heart, and leaves me asking “What can I do?” I don’t want to be a “Debbie Downer”! I am writing this to encourage all of us (mostly me!) to stop, take a look around, and do what you can. We have about 3 weeks left in this year. Let’s use the time to bless someone around us. AVAC does an amazing job of giving back! You can be involved right now in the food drive for Second Harvest. You can also donate monetarily to any of the many wonderful organizations that reach out to help those in need (if you need ideas, let me know)! You may know of a family that is struggling – add them to your giving list. If you don’t have extra money, there are countless things you can do to brighten someone’s day that are completely free! We can all take a second to truly “see” those around us. Smile at the person who is looking sad, ask how they are doing and truly listen to the answer. Take time in your schedule to “check in” with family and friends, even if it is a quick text to let them know that you are thinking of them. Hug your family and friends as often as you can, you never know what the day will bring! The littlest of efforts can bring the biggest blessings, and will truly bring joy not only to the one you touch, but also to you! 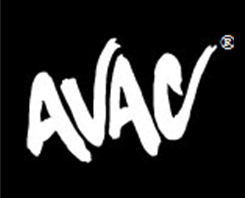 I wish all of my “family” at AVAC the most wonderful of holiday seasons, and I look forward to partnering with all of you to make a difference at the end of 2014 and well into the New Year!